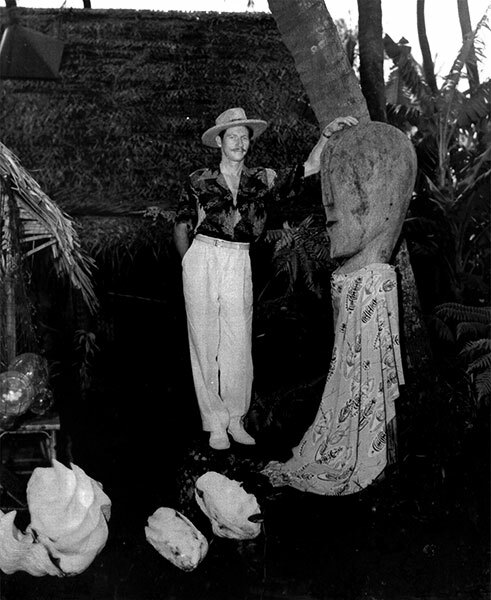 Explore the history, artistry, and production of Hawaii’s enduring fashion statement, the Aloha Shirt. This exhibition of sixty objects, including original textile artwork, production sketches and swatches, advertisements, and vintage shirts tells the story of an early innovator, John “Keoni” Meigs, in an industry that has left an indelible mark on fashion in the United States and the world. 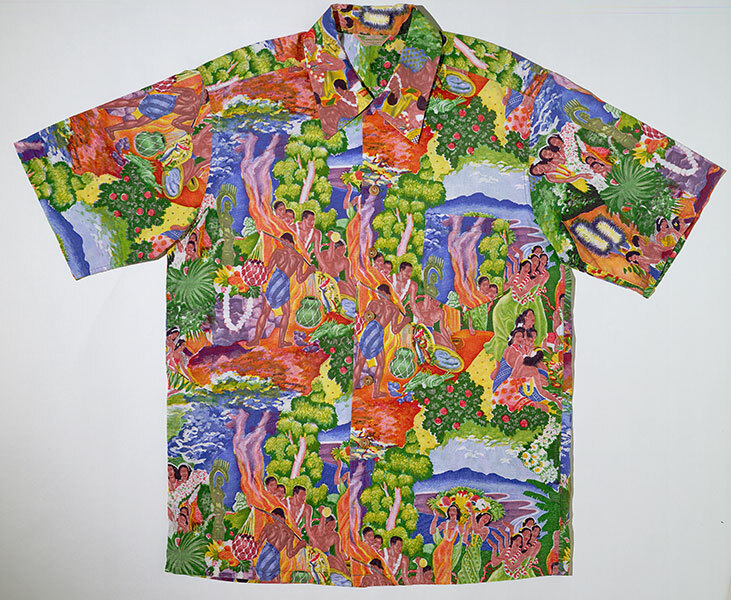 Although many claim authorship, the exact origin of the Aloha Shirt remains uncertain. 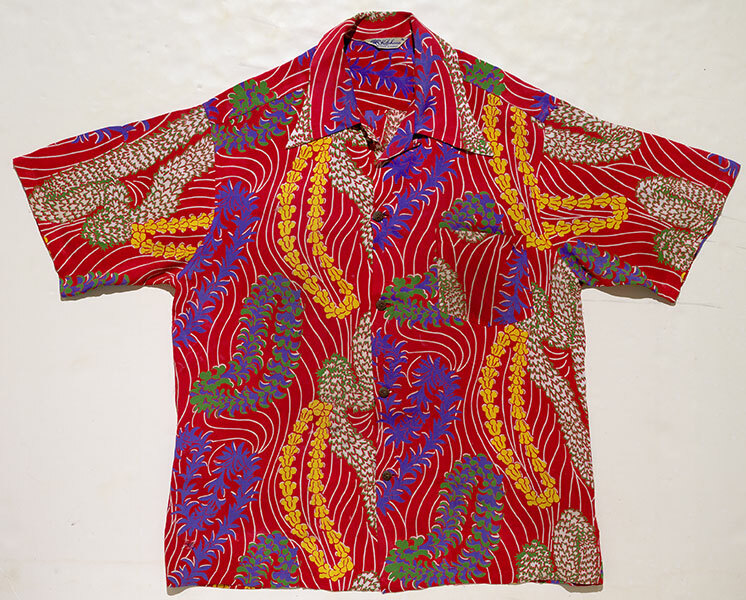 The patterns of Polynesian tapa cloth, the colorful and bold floral designs of Tahitian pareau, and the sheer Japanese fabric used for making kimonos are often cited as some of the early stylistic influences of the shirt. 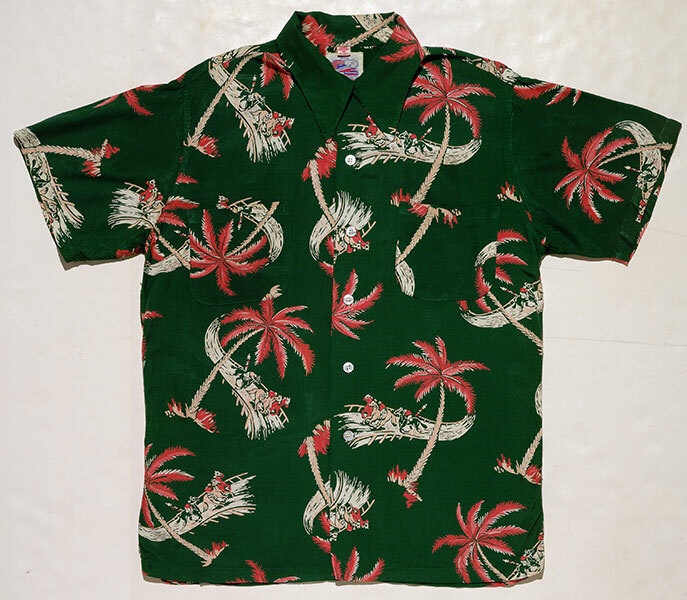 Sometime in the late 1920s to the early 1930s, when Hawaii’s economy began to shift from an agricultural to a service-oriented economy and tourists started flying to Hawaii in ever-increasing numbers, the emphasis of the island clothing industry shifted from the production of work clothes to sports and casualwear. 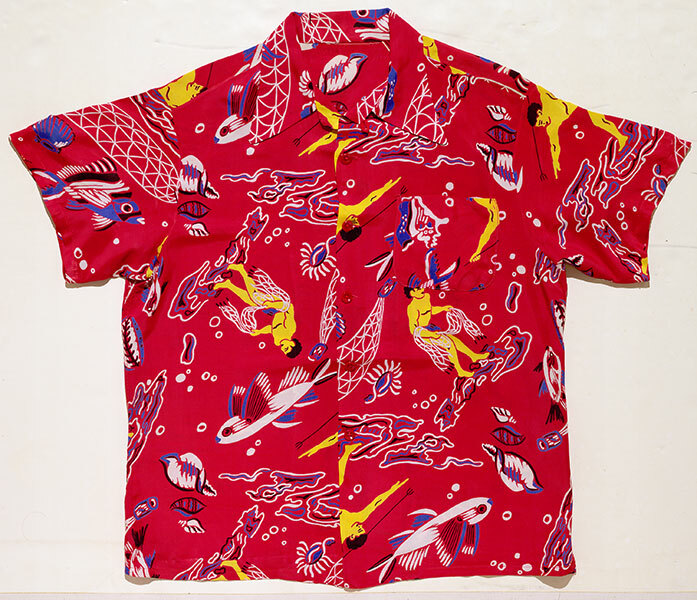 Combining the young islander’s love for colorful clothing with the tourist’s desire to bring home keepsakes of their holidays on the islands, the Aloha Shirt enjoyed massive popularity, particularly after the conclusion of the second World War. 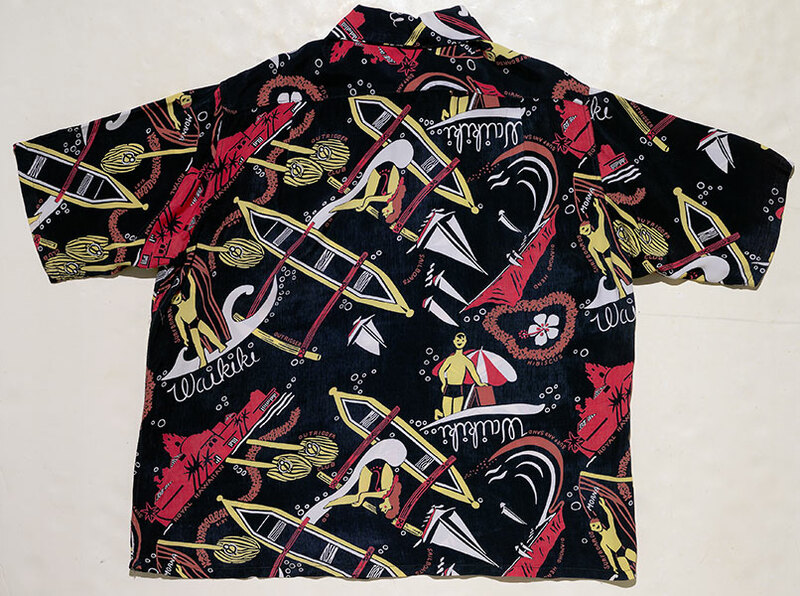 In the history of the Aloha Shirt, there has been no more innovative merchandiser nor better self-promoter than “Keoni of Hawaii.” John “Keoni” Meigs (“Keoni” is Hawaiian for John) was a self-taught painter whose talent became known to the early shirt manufacturers in Honolulu. 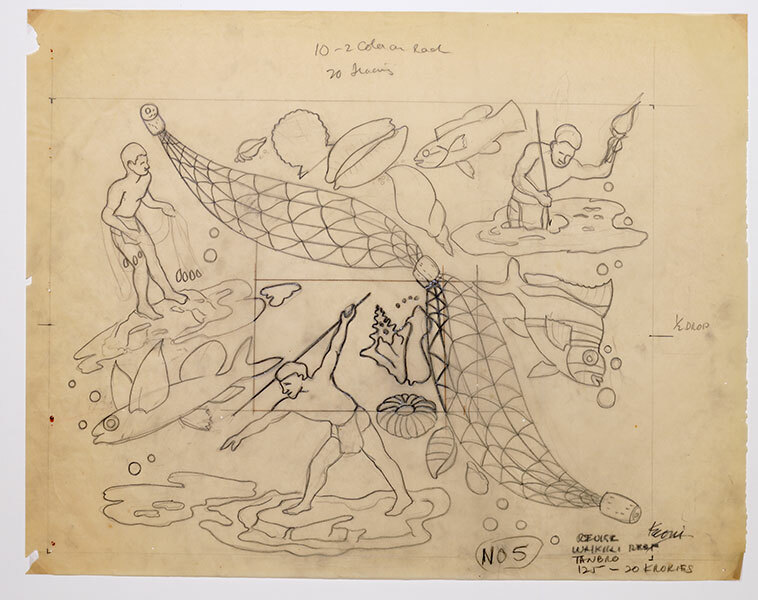 In 1938, he created his first designs, concentrating on Polynesian tapa patterns inspired by the originals he had studied at the local Bishop Museum. 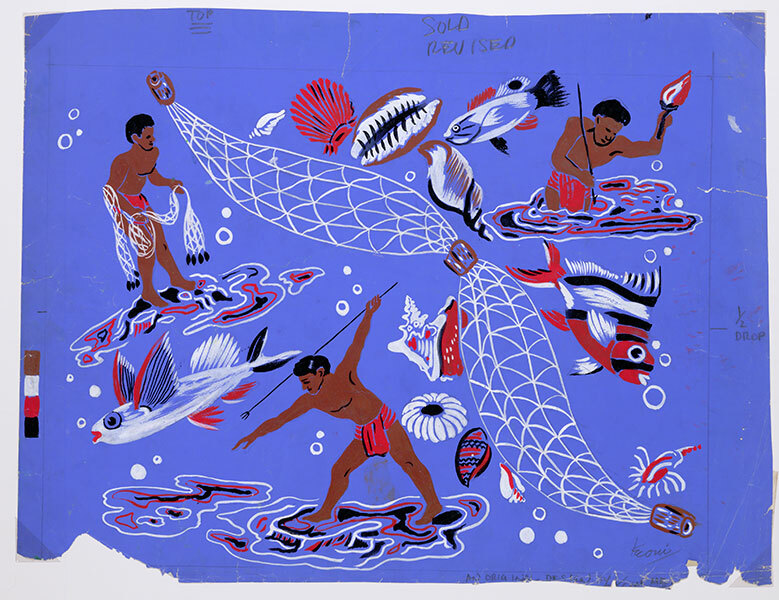 Art of the Aloha Shirt is curated by Dale Hope, a Hawaiian native and second generation veteran of the garment industry who authored the definitive book on the subject, The Aloha Shirt: Spirit of the Islands, in 2000. 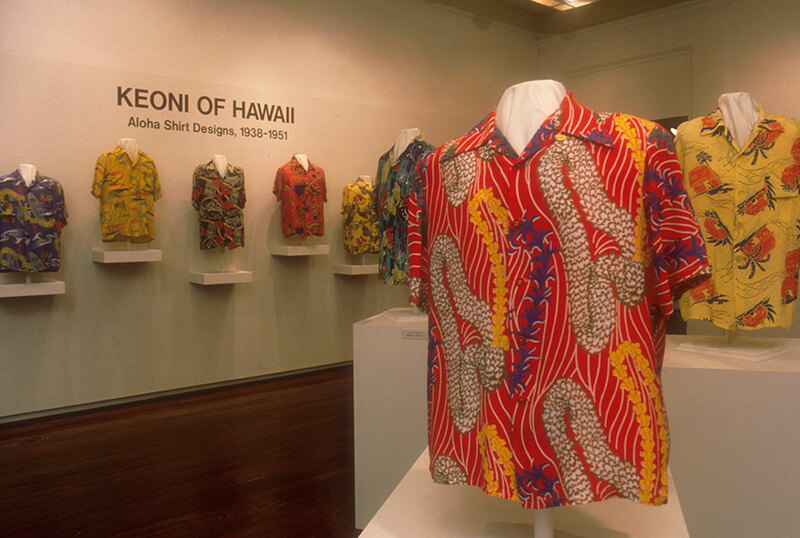 Much of the work draws from the collection of Dan Eskenazi, which offers viewers the opportunity to see Aloha shirts from a designer’s perspective, as well as excellent vintage examples of the finished product. 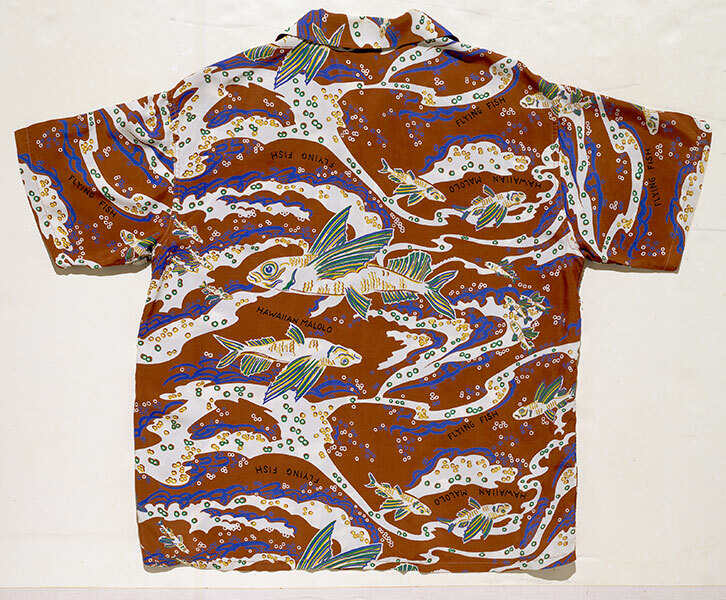 Art of the Aloha Shirt: Keoni of Hawaii, 1938–51 is touring September 2018 through August 2023. The dates below reflect seven-week exhibition periods. Dates are subject to change; please contact MoreArt@maaa.org or (800) 473-3872 x208/209 for current availability.